the surface on those finished panels is so enticing, inviting - yet were I offered it, I would be intimidated - anything I put there would ruin the beautiful surface. which is no doubt another reason why I opt for the endlessly erasable screen. about the sizing. you mean gelatin I buy for jello is size? what IS size? I sometimes use a PVA size on paper - I could use gelatin instead? 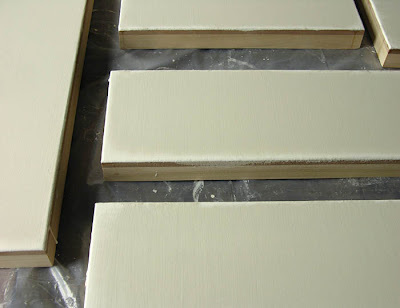 Size is simply a glue solution used to isolate the panel (or canvas, for oil painting) before putting on the ground, which in this case is gesso. Yes, I use ordinary Knox unflavored gelatin. I imagine the gelatin would have a color cast on paper that might not be desired, so you should probably stick with the PVA. A gessoed panel is erasable too; just use water. 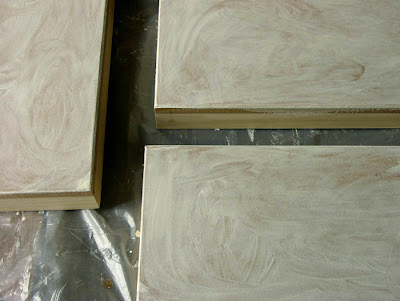 I use a gesso ground on (homemade) basswood panels for silverpoint -- never thought of using my fingers for the first coat! Brilliant. Or using gelatin instead of hide glue -- of course it's the same stuff, basically. But the part I haven't figured out is a good way to frame these panels -- with just the gesso & silverpoint drawing on them, they are so fragile and pale; I hate to cover that wonderful surface with glass, but they need some protection from fingers, dust, and so on. It's a puzzle. If I were you, Susan, I'd frame those drawings under glass; they're just too delicate to take a chance. I used to do a lot of painting with gouache, and also hated putting that lovely matte finish under glass, but there was no choice. Egg tempera, though, is actually pretty tough; it resists water, though it's not as waterproof as oil paint, and when the surface dries thoroughly it gets fairly hard. Thank you. Good advice! I was thinking maybe something like a shadow box would be best, since I gesso the sides too, and they're about 3/4 inch thick. 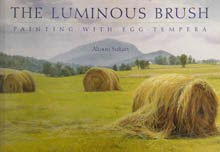 When I studied egg tempera with some Russian icon painters (thirty years ago), they finished off the paintings with linseed oil. Do you still only burnish yours, as you wrote about? Susan, I didn't realize the panels were so thick. I wonder if some kind of non-yellowing varnish, plastic based like Soluvar, might be a good way to finish the work. It would be best to confer with a restorer, or someone who really knows about this, which I don't. 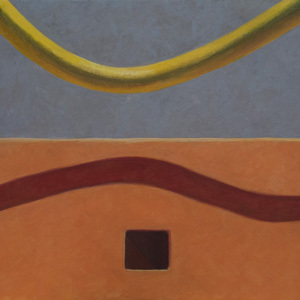 I still just burnish my paintings; they're fine with that unless someone handles them poorly and mars the surface. This rarely happens. Linseed oil would yellow terribly, but an icon painter might like that look. Altoon, it's so nice to see a post showing the panel making process. I have not had the patience, and it's not an ideal scenario in a NYC apt. to make my own gesso, so I order my panels from several different sources, including an icon supply company, that I feel happy with. 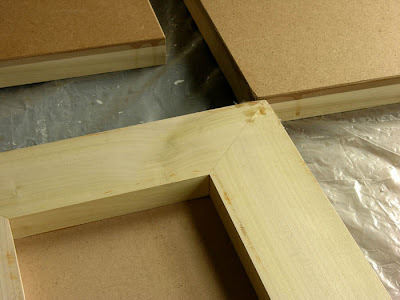 I know a number of fellow painters however who really enjoy the craft of panel preparation. Interesting, too, to hear about different methods, like the use of gelatin. I am preparing layers of tarditonal gesso for silver point, my frist batch was great, the surface was so smooth and hand, I used Gamblis gesso this time and they are chalky. The silver barely show up an dthere is some cracking. I am wondering if I can mix rabbit glue with marble dust for a top layer and add w add titanium white pigment to the batch. Also, I do not frame my panels. Wondering what would happen if I poured over a sealant or even wax, encaustic. If anyone has tried this I would love to hear how it worked. If your first batch was excellent, why not repeat that process. I haven't used the Gamblin's gesso; maybe their formulation doesn't have enough glue size in it.